Bocce ball league? What is this magical place? The International Foundation, like many other organizations throughout the U.S. and Canada, has embraced nontraditional wellness initiatives to provide a more comprehensive investment in employee well-being. 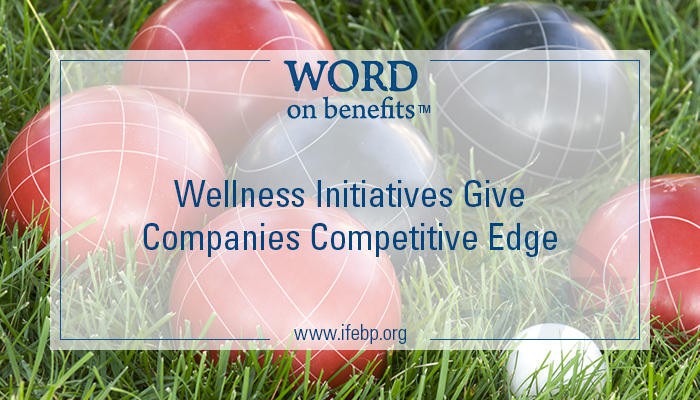 In a recent Workplace Wellness Trends survey, the International Foundation found that more unusual wellness offerings are emerging, like discounted or free wearable tracking devices, themed dress-up days, tuition reimbursement, financial education, birthday celebrations and, you guessed it, activities like bocce ball leagues. From the survey results, it’s clear that organizations are starting to take a greater interest in the social and mental well-being of their employees, and it’s giving them a competitive edge. The survey reveals that wellness efforts from organizations are leading to increased engagement, reduced absenteeism and even positive effects on an organization’s overall bottom line. In other news, I have from now until May to learn what “throw the jack into a prescribed zone” means. Download complete results of the Workplace Wellness Trends survey.